CAIRO — Prompted by the unexplained death of a British couple at an Egyptian Red Sea resort this week, their tour company was evacuating 300 foreign guests from their hotel on Friday after it received reports that other guests had also fallen ill. 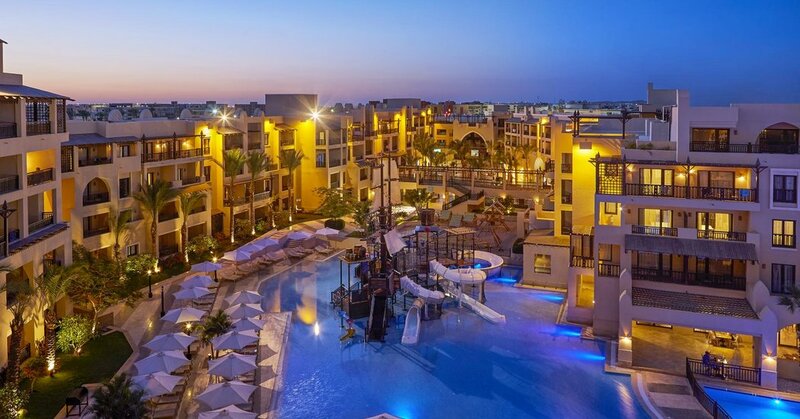 The couple, John and Susan Cooper, of Lancashire, England, died within hours of each other at the resort in Hurghada on Tuesday. Mr. Cooper, 69, was found dead in his hotel room midmorning, the Egyptian authorities said, while Ms. Cooper, 64, who suddenly fell ill, died six hours later after being taken to a hospital. As hundreds of mostly British vacationers prepared to fly out of Egypt on Friday, some took to social media to offer other explanations, such as food poisoning, that deepened the sense of confusion surrounding the couple’s death. In its statement, the Red Sea governorate, which covers the area where the couple died, said that there was no suspicion of “criminal activity.” An initial examination by Egyptian health officials showed that Mr. Cooper had suffered a heart attack, the authorities said. The prosecutors office has taken a statement from the couple’s daughter, who was on vacation with them, and has ordered autopsies. Ms. Cooper was an employee of the Thomas Cook branch in Lancashire. The Coopers’ deaths prompted criticism of how officials had handled the situation from other guests at the hotel, many of whom also complained of upset stomachs. Though the hotel has an excellent rating on the travel website TripAdvisor, dozens of comments going back to 2014 complain of problems with the food. Dieter Geiger, general manager of the hotel, said in an email on Friday that the company was deeply saddened by the deaths. In interviews to reporters and postings on social media, hotel guests lamented what they called a lack of information on the Britons’ deaths. Janette Rawlingson, a guest who flew out to the resort with her two children just as news of the Coopers’ deaths emerged, told the BBC that she should have been given the option to cancel the trip. Ms. Rawlingson said she and her family were worried about the food at the hotel complex, a group of cream-colored Mediterranean style buildings hugging large pools, water slides and pathways lined with palm trees. “We’ve worked incredibly hard, we’ve saved hard for a summer holiday with the family, and this is what’s happened,” Ms. Rawlingson said. Egypt’s tourism industry has been hammered by a series of calamities and persistent terrorist attacks over the years. The country has yet to recover the record numbers of tourists seen in 2010, when overnight visits hit 14.1 million, according to data from the United Nations World Tourism Organization. Overnight stays by visitors stood at 5.3 million in 2016, according to the agency. Tourism fell after an uprising ousted Hosni Mubarak, the strongman who led Egypt for 30 years, in 2011. The industry recovered somewhat in 2012 and 2014, but another uprising in 2013 that installed Abdel Fattah el-Sisi, whose government has become increasingly authoritarian, began to erode those gains. Since then, Britain has banned direct flights to Sharm el Sheikh, despite Egypt’s efforts to upgrade security at the airport and despite protests from Egyptian officials. In July 2017, an Egyptian man unleashed a deadly knife attack on a public beach in Hurghada, stabbing numerous tourists and killing two Germans and a Czech citizen. A year earlier, two Islamist extremists armed with knives targeted a restaurant in Hurghada. One of the assailants was killed by the police, and the other was captured. No tourists were killed. And in 2014, a deadly explosion ripped through a tour bus carrying 30 people in a resort town in the Sinai Peninsula, the first deadly attack on tourists by militants in Egypt in years. Egypt has seen an uptick in tourism recently, however, with revenues rising 211.8 percent year on year, to $5.3 billion in the first nine months of 2017, according to the government this week. In response to the Coopers’ deaths, a spokeswoman for the British Embassy in Cairo said: “We continue to support the family of a couple who died in Hurghada, Egypt.” The embassy added that anyone staying at the hotel should follow the advice of the tour operator and the local authorities. One of the best-known package holiday companies in Britain, Thomas Cook has its roots in Egypt. The company’s eponymous founder was a pioneer of mass tourism in the late 19th century, and built his reputation partly on boat cruises along the Nile. But the tour operator faced sharp criticism over safety standards at its resorts after the deaths of the two children in 2006 from carbon monoxide poisoning on the Greek island of Corfu. A British inquest into the deaths of the two siblings, ages 6 and 7, found that the travel company had “breached its duty of care” in preventing their deaths, which officials determined had been caused by a faulty water boiler in their hotel room. Three people, including the manager of the hotel, were convicted of manslaughter in 2010 and sentenced to seven years in prison. Follow Declan Walsh and Palko Karasz on Twitter: @declanwalsh and @karaszpalko. Declan Walsh reported from Cairo, and Palko Karasz from London.